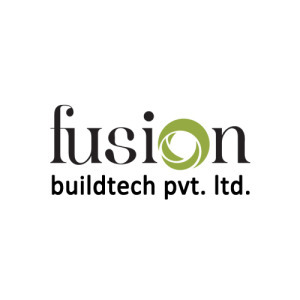 Fusion Buildtech Pvt Ltd is an innovation driven organization that aims to revolutionize the infrastructure of the nation. The company has been engaged in the process of constructing high class residential, commercial and industrial complexes within the National Capital Region. With a strong desire for modernization and pragmatism the company has been widely acclaimed for its futuristically designed buildings and utilization and management of space. The company has developed its projects at Noida, Greater Noida, Sahibabad, Derabassi, Delhi and Jaipur on patron demand. Perceptive of the booming real estate needs around the nation, the company aims to expand its operations. Simultaneously the company is thoroughly engaged in ventures other than real estate. Fusion Buildtech Pvt Ltd has been creating a name in other business sectors especially Copper Manufacturing and Exports of Automotive Components. The company has spread its other business transactions across 35 countries. Seeking to redefine quality and affordability, Fusion Buildtech since its inception has envisioned creating realty that is at par with the highest standards of quality while making them economically feasible for its client base. Defining its strength as its people, its processes and high-tech facilities, the company is backed by expert professionals. Fusion Buildtech boasts of possessing efficient management systems along with state of the art manufacturing facilities and other services.